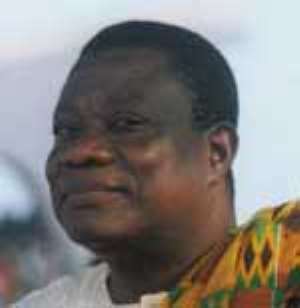 A number of supporters of the National Democratic Congress (NDC) in the Ashanti Region, particularly, those in the Kumasi metropolis have kicked against maintaining Prof. Evans John Attah-Mills as the party's presidential candidate for the 2008 Presidential elections. According to them, Prof. Mills is not the right candidate for the party since he failed to be a force to reckon with when it came to the position of presidency after having lost to the NPP on two occasions in 2000 and 2004. Some of them have therefore threatened to quit the party if they dare endorse Prof. Mills as the candidate for the 2008 elections even though they contended that his presence in the party was very important and must be protected. “Prof. Mills is a good man but he has not been active enough even though he was trying to prove to be, but a lot of people did not see him as such,” Ibrahim Abass, a resident of Aboabo in Kumasi declared. Another supporter at Atimatim, who only gave his name as Emma also suggested that Prof. Mills be given the running mate position in the 2008 election because as he put it, he was too intelligent to be left out of the Presidential realm. “But as for the presidency itself, I know he doesn't deserve it this time round,' he concluded. Whilst majority of them are proposing Mr. John Mahama, a few others have also endorsed the candidature of Dr. Kwesi Botchwey. Messers Tony Aidoo and Totobi Quakyi at a party organized by the Greater Accra branch of the party were reported to have endorsed Prof. Mills as the right Presidential candidate for the next general elections. Meanwhile, the Deputy Regional Secretary of the party, Mr. Doe Tamakloe has stated emphatically that the party's leadership had put a ban on discussions on the issue of who should be the presidential candidate for the 2008 elections at the moment. “The decision on a possible candidate for the elections rests on the new executives who are yet to be elected into office and nobody else has the final say in that. According to him, the mandate of the current executive had elapsed and for that matter the time frame was too short for them to make decisions concerning the elections. “The party will hold its congress between September and November to elect new executives who will then decide,” he added. He, however, observed that Atta-Mills could be the best candidate because they had marketed him enough but they were not taking chances in the 2008 elections and that if they were to maintain Atta-Mills, they ought to do a lot of work in the Central Region. “If we decide to take another person too, we have to again do a lot of work in the entire country but I will leave it for the new executives to decide,' he emphasized.